Economy: All Grinch, No Santa? 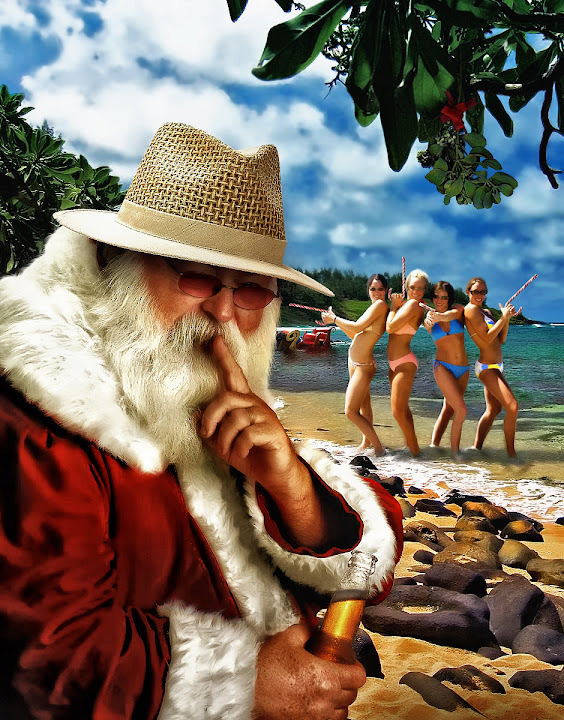 Santa looks to be on vacation this season. The crunch is being felt not just in homes, but towns across the country, Solorzano points out, as municipalities are forced to cut back on decorative lights, or cancel community holiday festivities. Also scrapped cancelled? Many work holiday parties. The cost of living in the U.S. fell by the most on record as fuel costs plummeted and retailers used discounts for cars and clothing to entice consumers hobbled by job losses and sinking home values. Consumer prices plunged 1 percent last month, more than forecast and the most since records began in 1947, after being unchanged the prior month, the Labor Department said in Washington. Excluding food and energy, so-called core prices unexpectedly fell for the first time since 1982. Demand for commodities is still fading. Are people discovering Christmas doesn't come in a box or just out of cash? My art work here is licensed under the Creative Commons and is free to use for blogs, web pages, prints, etc. All I ask is attribute the work to me in a byline e.g. "Image by AZRainman.com"